Professor Derrick Crook has been appointed as Director of Microbiology. 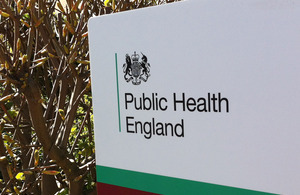 Professor Derrick Crook joins Public Health England (PHE) as Director of Microbiology on 1 January 2015. He is currently Professor of Microbiology in the Nuffield Department of Medicine at Oxford University and is a practicing clinical microbiologist and infectious diseases physician at the Oxford University Hospitals NHS Trust. Professor Crook is also co-director of the Oxford Biomedical Research, Infection Theme, and leads a large research consortium, Modernising Medical Microbiology, which focuses on translating whole pathogen sequencing and data linkage, as well as undertaking intervention studies investigating pathogens or infectious diseases of major public health importance. He studied Medicine at the University of Witwatersrand, Johannesburg; obtained the Diploma of Tropical Medicine (London), specialised in internal medicine at the University of Virginia, USA, and completed a fellowship in infectious diseases at the Tufts New England Medical Center, Boston, USA. He obtained his boards in both internal medicine and infectious diseases. He trained in clinical microbiology at the John Radcliffe Hospital Oxford and obtained both his MRCP and MRCPath. Professor Crook has wide experience in microbiology, infectious diseases and medicine having worked in a number of positions. He led the Oxford Hospitals microbiology laboratory for 5 years. In South Africa, he worked as an intensive care consultant in the Johannesburg and Hillbrow Hospitals. Before that he worked as a medical officer in and a Superintendent of a rural hospital in KwaZulu-Natal. In his new role as PHE’s Director of Microbiology, his particular focus will be to lead the translation of genomic technologies to transform microbiology practice across England in full partnership between PHE and Universities hosting NIHR health protection units and including Cambridge University. We are delighted that Derrick is joining us as our Director of Microbiology. He has a fantastic track record in the field of infectious disease in the UK and internationally. His experience and expertise will enable PHE to be at the cutting edge of this critical area of health protection science.